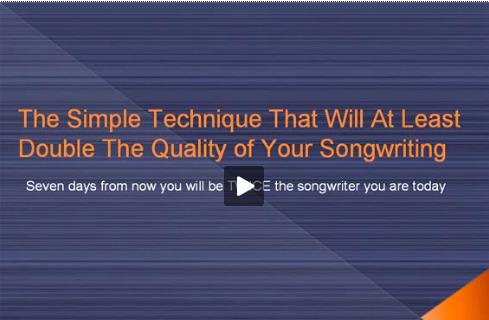 Win A Free Songwriting Course Worth $87! Thank you so much for all the wonderful entries! It was incredibly inspiring going through them. And of course, almost impossible to narrow it down to 3 winners. In fact, I had to extend it to 5 in the end! 3. James Love with some tips on achieving success in one of the more abstract components of songwriting - writing while you're asleep. Believe it or not, many famous songs have been written this way, so try James's tips and you'll be in for a surreal experience! 4. David Reuter for his wonderful story "An Evening At The Ryman". This story is inspiring because it reminds us amazing things can and will happen when you put forth the effort and commitment. 5. Thomas Gaffney for showing courage and persistence both in life and songwriting. Thomas also a great technique that can be used when you're feeling creatively blocked. If you are one of the winners, please contact me at support@musiciansedge.net for information on how to claim your prize. Fill in the form below to enter into the competition. Start typing in this box!